Wanna show your creativity this Valentine's Day? No worries! Our easy to use Design Center will let you express your love on this special day! 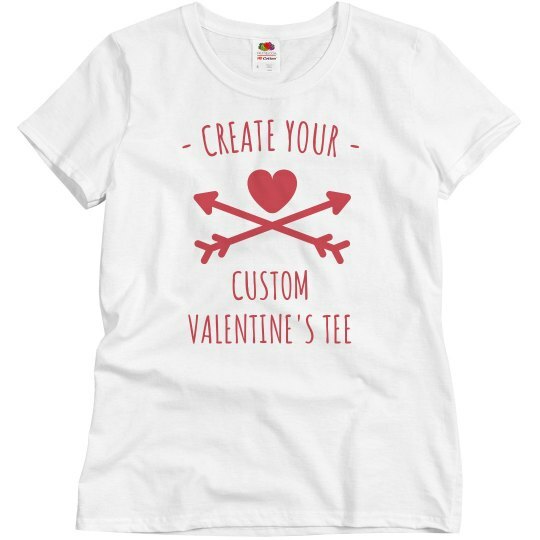 You can add your favorite love messages, add arts and even photos on this custom Valentine's tee! Surprise your partner with a special present like this, too! I'm sure it will add spice to this celebration! Love is definitely in the air!